EARTH MUST be moved away from the expanding sun, which threatens to engulf it. As it is propelled across the solar system by gargantuan thrusters it gets trapped in Jupiter’s gravitational pull. The apocalypse looms. There is only one hope for the human race: China. 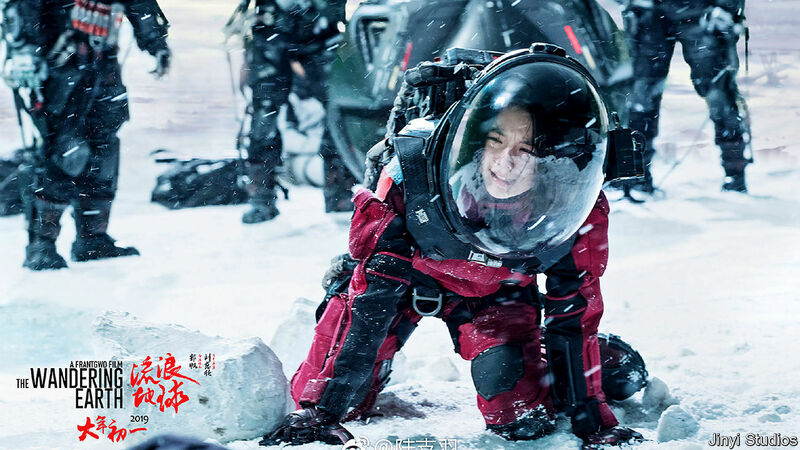 “The Wandering Earth”, China’s first blockbusting sci-fi film, has achieved gravity-defying success with this absurd plot. In its first ten days in cinemas it earned an impressive 3bn yuan ($440m). The film is widely expected to become China’s second highest-grossing, behind “Wolf Warrior 2”, a jingoistic thriller whose lead actor, Wu Jing, also stars in the sci-fi pic. Many Chinese commentators attribute the film’s stellar success to growing pride in the country’s space programme. Last month China became the first country to land a spacecraft on the far side of the moon. Officials are clearly pleased by the film’s popularity. Xinhua, a state-owned news agency, boasted that it will “impress a global audience” and “rival Hollywood”. Western reviewers are less enthusiastic. So are some Chinese science-fiction fans, who have complained that the film does not do justice to the book on which it is based. The book, by Liu Cixin, an award-winning author, contains various episodes, such as an armed rebellion against authority, which were doubtless viewed by censors as subversive and hence excluded. In fact, the film’s main producer, a subsidiary of a state-owned firm, appears to have injected a dose of President Xi Jinping’s political theory into the plot. The idea that gets an intergalactic airing is something Mr Xi repeats ad nauseam as a goal of foreign policy: “a community with a shared future for mankind”. Economic Daily, a party-owned newspaper, praised the film for portraying this concept so adroitly. In many ways, the film can be interpreted as a parable of the Chinese government’s idea of multilateralism. The Chinese heroes trying to save the world are always seeking the partnership of foreigners in the film, just as Chinese officials always talk about joining hands with other countries to solve global problems and reach “win-win” outcomes. Yet there is a caveat: China must be the leader in any multilateral initiative. In the film, rescue teams from the likes of Britain and Japan dutifully answer the call of Chinese “team leaders”. No Americans are featured at any point. Even in the ethereal world of sci-fi, the Chinese government remains firmly in control of things.